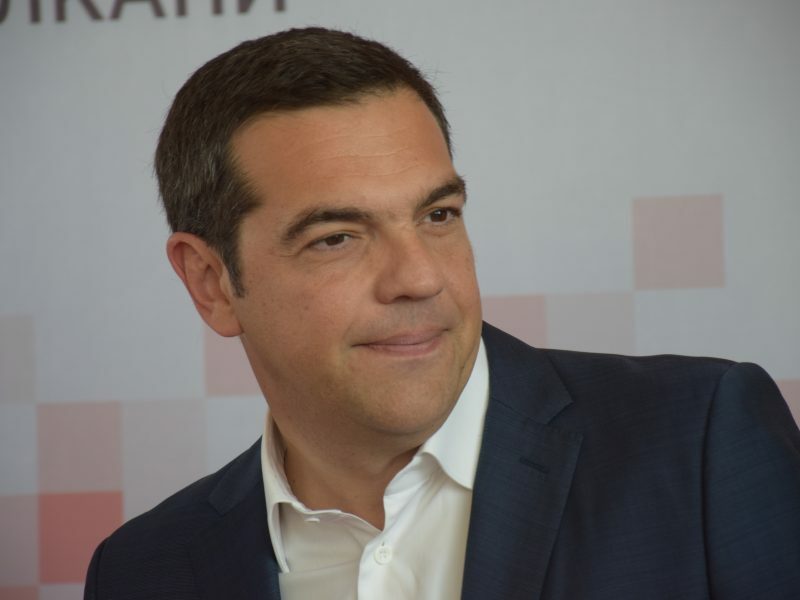 Greece’s prime minister will on Tuesday (2 April) pay a historic visit to newly renamed North Macedonia to join in marking the end of a decades-long identity row between the two countries. 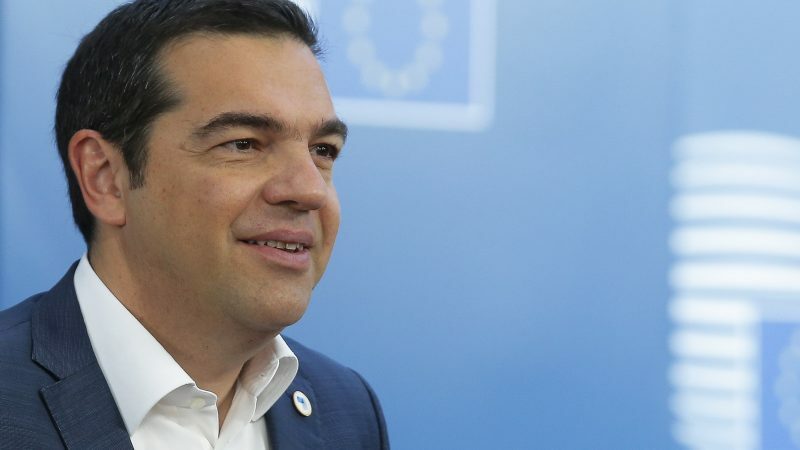 Alexis Tsipras is making the first official visit by a Greek premier since North Macedonia’s 1991 independence. The one-day trip comes a month after he and his Skopje counterpart, Zoran Zaev, finalised the deal that added “North” to Macedonia’s name to distinguish it from a bordering province in Greece. European Union leaders warmly welcomed the historic ratification by the Greek parliament on Friday (25 January) of the North Macedonia name change deal, the so-called Prespa Agreement, putting an end to a 27-year conflict in the Balkans. The name-change settled a dispute that had roiled diplomatic ties for nearly three decades as the neighbours tussled for ownership of the name Macedonia and its cultural heritage. The key trade-off for Skopje was assurance that Athens would stop thwarting its efforts to join NATO and the European Union. Now the neighbours are also touting the promise of boosting economic ties, with Tsipras bringing along 10 ministers and more than two dozen Greek business leaders on the trip. 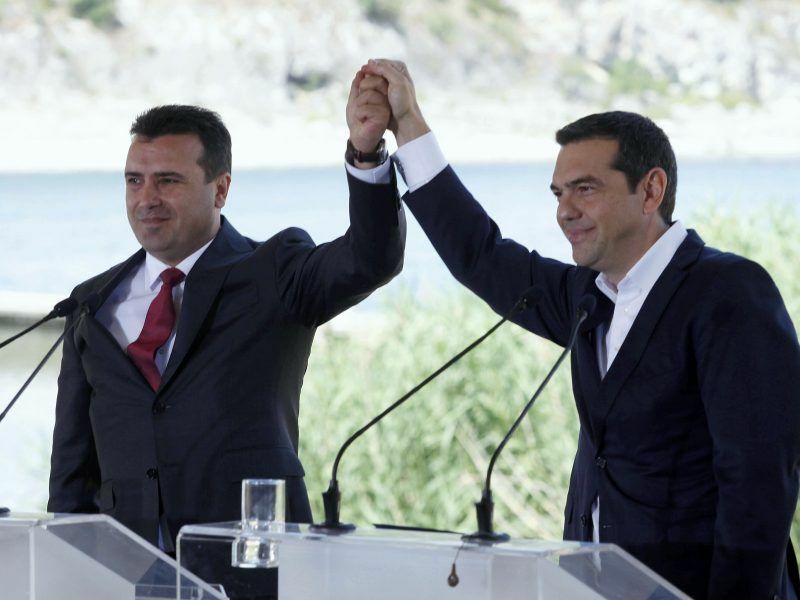 After political meetings and a press conference on Tuesday, the two leaders are scheduled to attend a trade forum in Skopje. 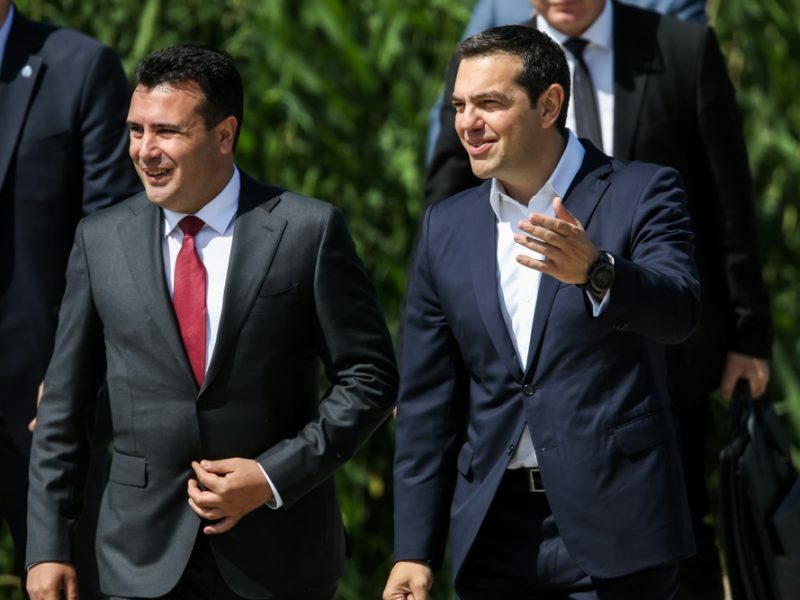 Ahead of the visit, Zaev told AFP there would be new Greek investments worth more than 500 million euros in North Macedonia, which is much smaller and poorer than its EU member neighbour. “The Republic of North Macedonia will have huge economic benefits from the deal that I believe will be seen in every area of the economy,” the prime minister added. Since the initial name accord was inked in June 2018, congratulations have poured in from around the globe for the two young premiers, who took on risky political battles at home to push the deal through, enraging nationalists in both countries. Even before the deal was finalised, the pair were nominated for the Nobel Peace Prize by 2015 winner Wided Bouchamaoui of Tunisia. 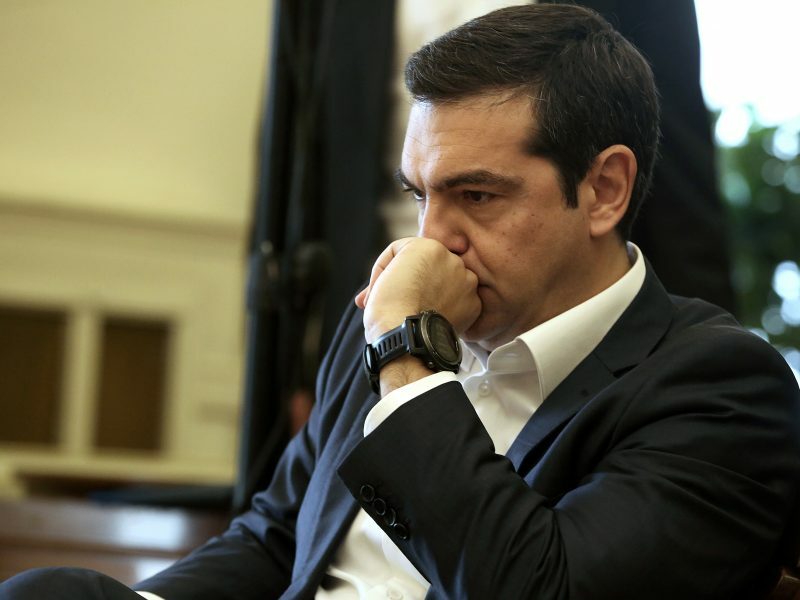 But he conceded that a “significant portion of the Greek people” are still “seriously concerned” about the name deal. “It is our responsibility — mine and Zoran’s — to show that our nations can only benefit from the path that is now open,” he said, condemning “rising forces of nationalism”. Disgruntlement is also palpable among some in Skopje who feel the name-change is an embarrassing concession to Greece and that the end-goal — entry into the EU — may never materialise. North Macedonia is in the process of joining NATO and hoping the EU will open its accession talks in June. The Russian foreign ministry published on Tuesday (14 January) a statement voicing concern about “instability” in Greece following the ratification of the recent change of the constitution in Macedonia. Greece retorted with a warning to Russia not to interfere in its internal affairs. Yet the timeline is unclear, with appetite for enlargement shrinking considerably among several members of the bloc, particularly France. Meanwhile, in his own protest, the Balkan state’s President Gjorge Ivanov has been refusing to sign bills from parliament ever since North Macedonia became the country’s official name. The two-term president will be replaced in elections later this month. Mr Tsipras and SYRIZA were almost inexistent politically in 2011 and got elected by manipulating in Greece the EU mobilisations of indignados. Mr Tsipras together with the neo nazis from Golden Dawn were sharing the same space in 2011 in Athens in Syntagma square, and the same anti-EU, nationalist rhetoric. After that he formed a gov with Independent Greeks (guess if this was also a nationalist party). Flagrant corruption cases and nepotism supported his violent government that mismanaged public finances, including from EU, while selling the Macedonian nationality and language to a nation that has slavic/bulgarian roots. A nation that has been making money from selling its false identity in its products. Useful idiot, who sold his country’s interest to defuse nationalist problems in the Balkans. However, as said earlier, this is not irrelevant to the economic losses due to his choices, including the one regarding Skopje. We understand the editor who is of course paid by Mr Tsipra’s government. It makes sense for the fellow journalists to understand why the public sees them as impartial and opportunists, and why it does not support actively the persecution of real investigative journalism.